Lately, it has felt extremely necessary for me to indulge in some serious self-care. It has never been something that I have been purposeful about until recently, and I am so thankful that I have started down that path. 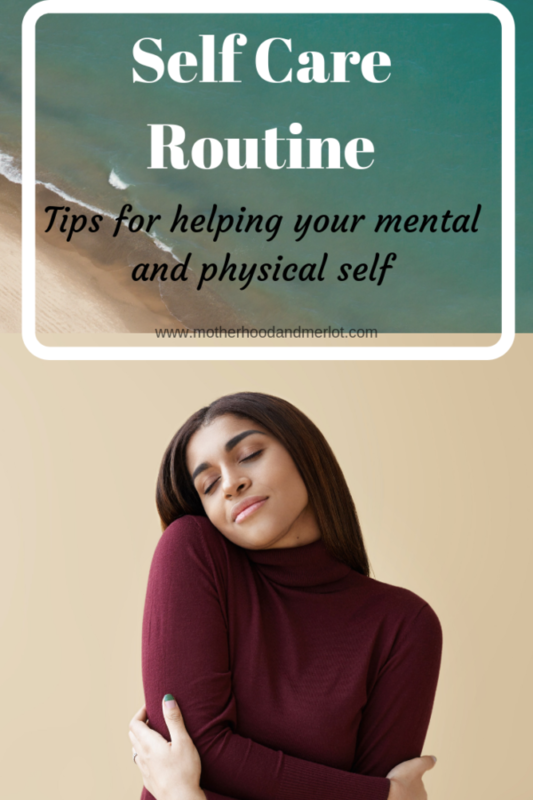 My self care routine is growing and progressing, and I thought I would share some of the tips and products that I have found extremely helpful for my mental health, especially. It has been my experience that self care is never just one way. We can get all of the pedicures and have all of the hair appointments, but if we am not treating our inner selves with care, it doesn’t really matter what we am doing on the outside. I know it may seem hard to block off time for each of these, because we are all busy. However, it is also important to note how beneficial self care is. So even blocking off a few minutes, if that’s all you have, can make a huge difference. Exercise. I try to get in some form of exercise at least once a day. On the weekdays, its at my Crossfit gym or the regular gym. On the weekends, it’s a regular gym or going on a walk with my kids. You don’t have to go as extreme as Crossfit and weightlifting. Yoga has always been so relaxing and meaningful to me when I practice. Exercise helps me clear my head, and it also helps me get my physical self right. Since I started a solid workout routine 5 years ago, I will never go back to not having that be a part of my self care routine. It’s vital for me! Today I Affirm Journal: This. Is. Amazing. I have never been much of a journaling type (shocking, right, considering I write for a living). But, this journal has been so easy for me to just jump right into and take at my own pace. 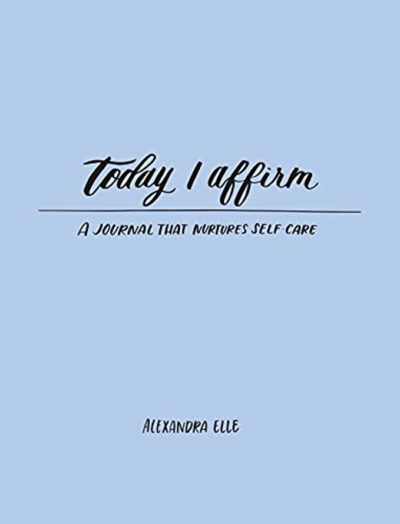 There are a lot of different prompts and sections to it, and for me, it is all about self care and taking the time to calm your mind in the morning. I have also found it to be a great tool in working out my thoughts, when I may not be able to express them verbally. I take about 10 minutes every morning and go through a page or two. 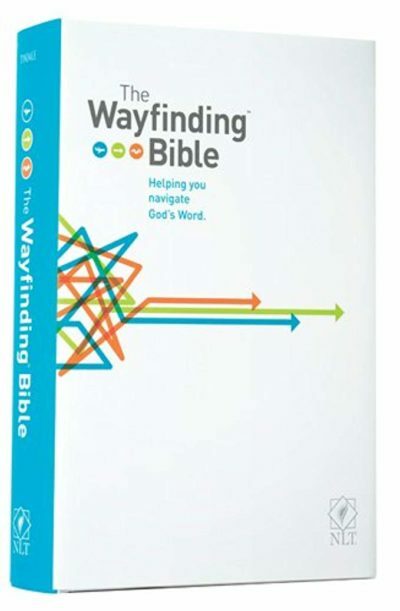 Wayfinding Bible: My brother got this for me for Christmas, and I have been loving it. It is so easy to get in even just a few minutes of reading, because everything is guided and laid out for you. This has been such a means of peace for me, and it also helps me understand things from a biblical standpoint in a much clearer way. Skincare Routine. I know it seems silly, but this is a daily (and nightly) part of my self care routine. It is not just an outward care, but it also creates a sense of calm and refresh for me mentally. You can check out some of my current skincare favorites here, and I will link them below as well. Get out of your comfort zone at least once a day. I know this isn’t always easy, and I used to be the worst at doing ANYTHING that was outside of my comfort zone. Making myself do this once a day, even if it is striking up a random conversation that I normally wouldn’t do with a stranger, can be hugely beneficial to your mentality and self confidence. What ways are you going to start or change up your self care routine this week? Let me know in the comments. Yes, the number one self-care is to do regular exercise as it helps to boost up our mood and also taking care of our body. I go gym 5 days a week and going to the gym is like a must as it gives me energy and helps me stay motivated in my work. Some great tips here to look after yourself. It’s so important to take time when our days get so busy! I also exercise for self care and take care of my skin. Another form of self care I do is read. The last couple of years my reading habits wained but I made sure this year to put time into because I really love to read and feel relaxed when I do. As a mother I know how just important self care is for your well-being. Thank you for this wonderful and insightful post! So true. Even though you are busy with taking care of kids or work, one should always take care of oneself. Better put, take care of yourself first that you may love and care for others,too. Best to focus on self-care and loving our self. Because when we do, we can share that love to others with no fear.